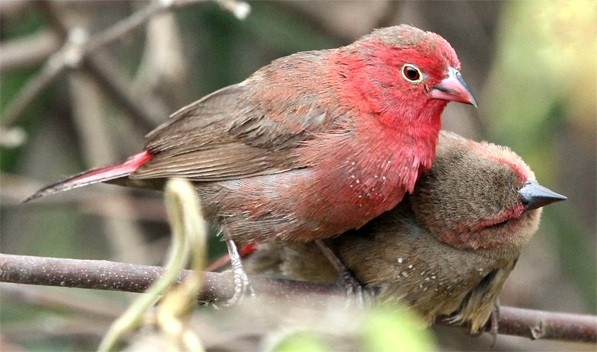 The identifying feature of the male red-billed firefinch is the partially red bill. 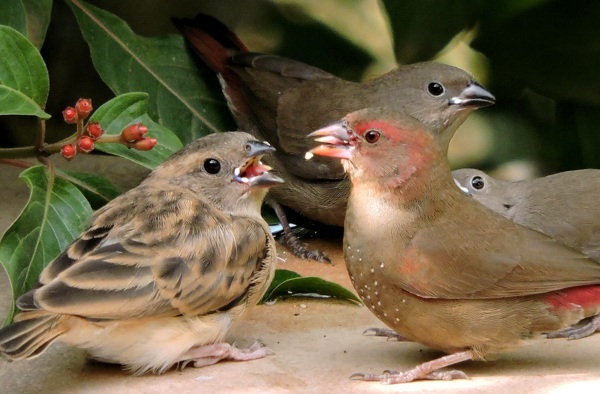 Jameson's and African firefinches have black bills. 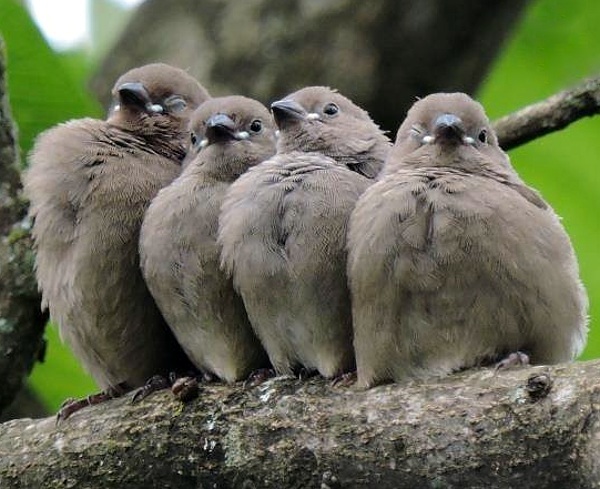 The upper 2 photos of juveniles and an adult were taken at Machame (7-16), courtesy of Bob Kasworm. 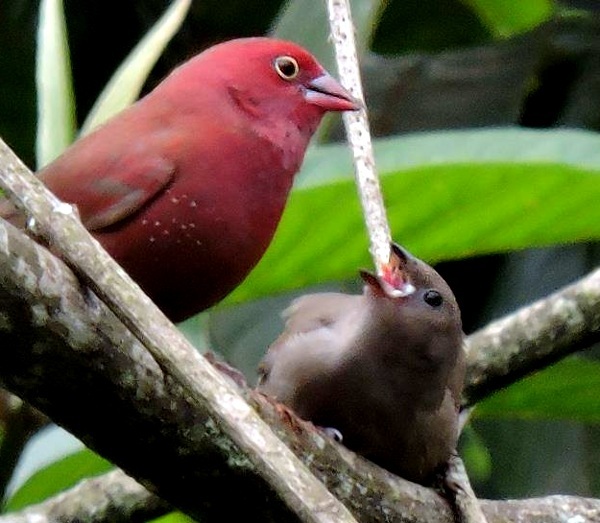 The 3rd row photo of a red-billed firefinch feeding a juvenile village indigobird which parasitizes the firefinch (Ngaramtoni, 2-15) is courtesy of Hanna Nyman. The 4th row pair was seen in Usa River (11-03); the 5th row, in Kisongo (7-15) and the 6th row, Arusha (11-17), both courtesy of Paul Oliver. 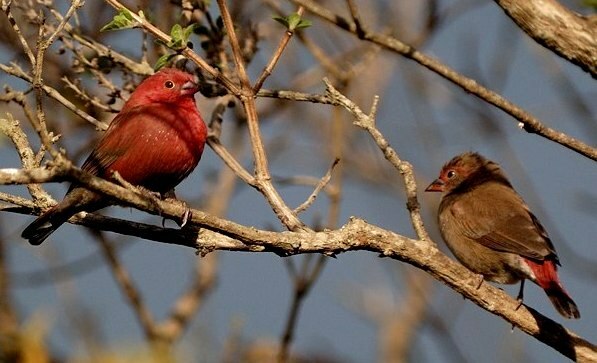 The lower photo was taken at Ushongo (4-06); click it to see 19 enlargements including a juveniles, immatures and sub-adults.